Photo: Cate Cameron/The CW — ÃÂ© 2018 The CW Network, LLC. All Rights Reserved. This week’s episode of Riverdale season 3 told three separate stories. The common link was Hiram Lodge. Riverdale loves overestimating how interesting Hiram Lodge is. 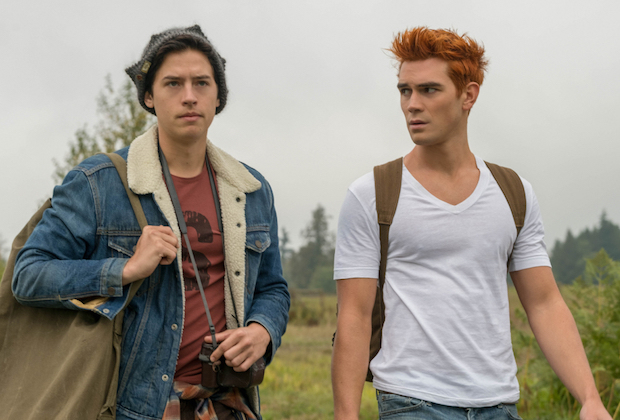 In the first part, Archie Andrews and Jughead Jones wandered into a strange farm town with no men in it. Like many things in Riverdale, the explanation for this made no sense. The mysterious women in the town simply said that all the men are working at Hiram Lodge’s prison/drug factory. Okay. This plot was most notable for how determined Archie became to straight up murder Hiram. It’s hard to understand this character when his bloodlust seems so strong. The show previously defined him by his wide-eyed innocence. It’s especially annoying since there was already a whole plot about him being murderously angry last season. At this point it seems like Archie is just eager to kill someone. The episode gives viewers major whiplash because the next plot is a lighthearted story where Veronica Lodge got help from Hiram to save her speakeasy. In the end, Veronica laughed happily as she told Reggie Mantle about how her father helped her cheat at blackjack. It was a stark contrast with Hiram ruining Archie’s life to the point that he wants to murder him in revenge. Finally, another plot showed Betty Cooper at Sisters of Quiet Mercy. If it ever seemed like this show might explore Betty’s anxiety and dangerous impulses in a productive way, that hope disappeared in s episode. Riverdale is happy to use the very real problem of abuse against the mentally ill for cheap drama. The Sisters of Quiet Mercy plot went from disgusting and exploitative to just confusing when the Gargoyle King became involved. Betty’s new roommate Ethel Muggs explained that when girls misbehave, the sisters take them to the Gargoyle King. I cannot believe that every single thing in this town is tied to this silly game that never came up before.